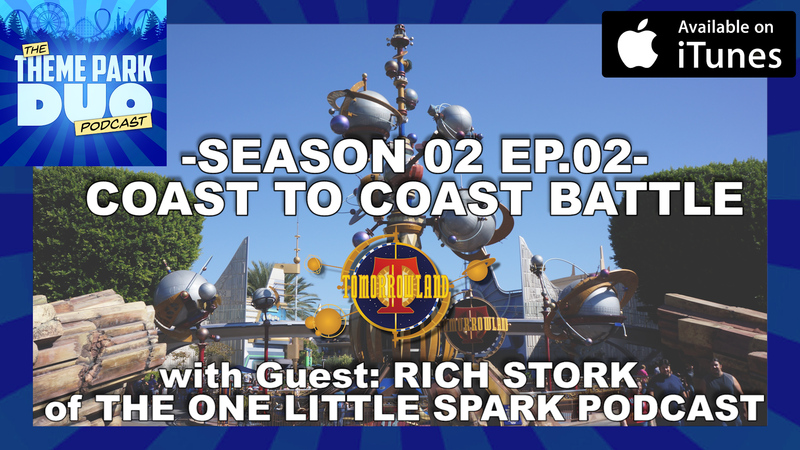 On this Episode of the Theme Park Duo Podcast we are joined by Rich Stork of the One Little Spark Podcast to continue our Coast to Coast Battle series between The Magic Kingdom and Disneyland! This time around, we compare and contrast Tomorrowland! Which do you think is better? We also have a Theme Park Bulletin where we talk about the NEW Walking Dead Roller Coaster announced at Thorpe Park, Disneyland Annual Passport rumors regarding Star Wars Land (Galaxies Edge) and a brand new area coming to Adventureland in Disneyland, The Tropical Hideaway!